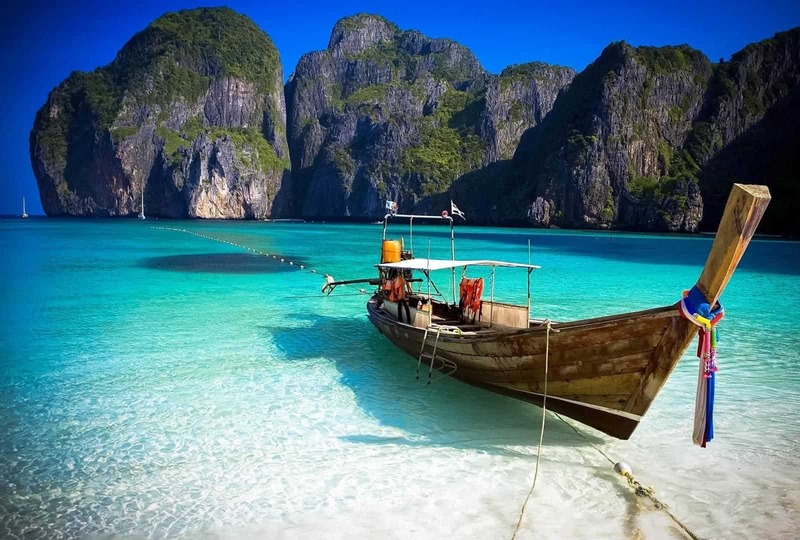 Over the years we’ve visited Thailand many times, its fair to say we’re constantly drawn back to this tropical country for a multitude of reasons. 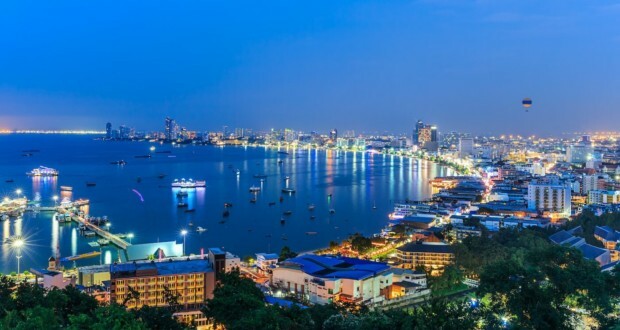 From the bustling city streets and market stalls of Bangkok to the party islands and immensely beautiful tropical landscapes, there’s plenty of reasons to visit any time of year! Our last visit was just a few weeks ago where we visited the popular islands of Phuket staying at a number of resorts and hotels. 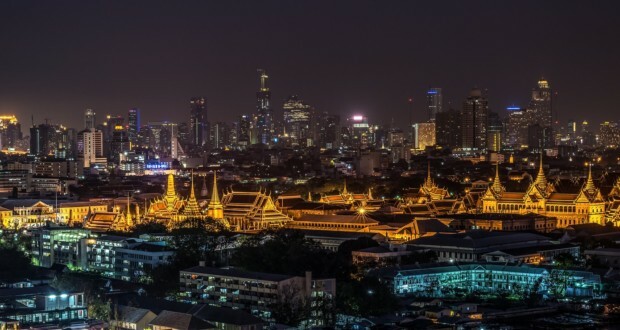 We were recently asked by Emirates Holidays to share our experiences of Thailand Holidays so naturally we jumped at the chance to tell you just why Thailand should be high on your list of places to go. There’s usually 2 main reasons why I love to travel, beautiful landscapes and interesting cultures. Thailand has no shortage of utterly stunning views and I’ve been lucky enough to experience many of them for myself over the last 10 years. There’s over 200 islands to explore so no shortage of amazing coastal views and many of the islands can be visited easily by ferry or diving excursion. I’ve been to a number of them including Phuket, Koh Samui, Koh Phi Phi and Koh Lanta so be sure to check out my blog posts on them! While the general atmosphere varies from island to island their vistas are all equally jaw dropping. On the mainland there’s plenty to see too, I can highly recommend taking a train ride from Bangkok to Chiang Mai in the North which takes about 12 hours. You’ll cut through a lot of the Thai landscape and spend the day enjoying the view! 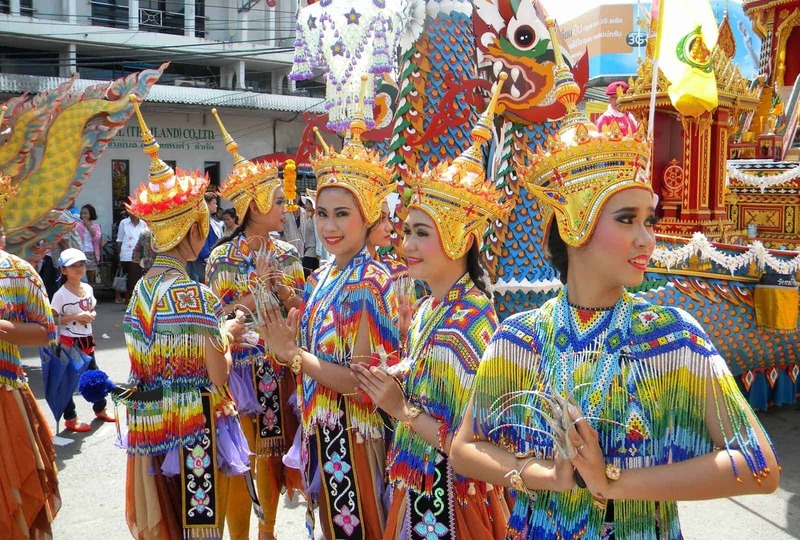 Thailand is a majority Buddhist country with a devout following of both its religion and its monarchy. 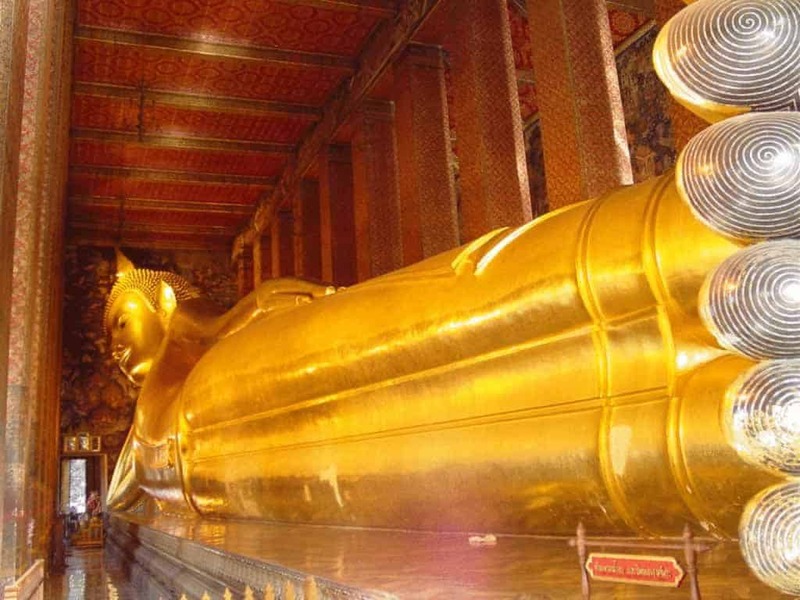 Almost every town has a massive statue of Buddha somewhere and there’s plenty of incredible temples to explore as well.I’d definitely recommend you visit the reclining Buddha in Bangkok for instance. You’ll find it at Wat Pho which is easy to get to by tuktuk. Buddhist influences can be seen everywhere around you from the architecture of buildings new and old, to the arts and the daily customs of locals. As with many Buddhist countries I found the people to very friendly and open, happy to share their knowledge with tourists and welcome you to their country. I’ve had countless wonderful experiences meeting locals, finding out more about Thailand and Thai culture than any guide book could have ever told me. I think this has to be one of the biggest reasons we’ve visited Thailand so many times over the past decade. Our requirements, standards of travel and ultimately our accommodation requirements have influenced our trips heavily. Now that I’m in my late 30s my wife and I have moved more towards short term rental style apartments which are some of the most competitively priced in the world. We’ve stayed in amazing condo apartments in Bangkok and found some fantastic boutique hotels and resorts that offer far more bang for their buck than most hotels in Europe ever could. Now that we’re parents too our standards and requirements have changed once more with the lure of family friendly resorts now a keen focus. Our 3 year old daughter needs entertaining with kids clubs and swimming pools so the days of sunbathing are over! Thankfully Thailand has no shortage of incredible resorts. 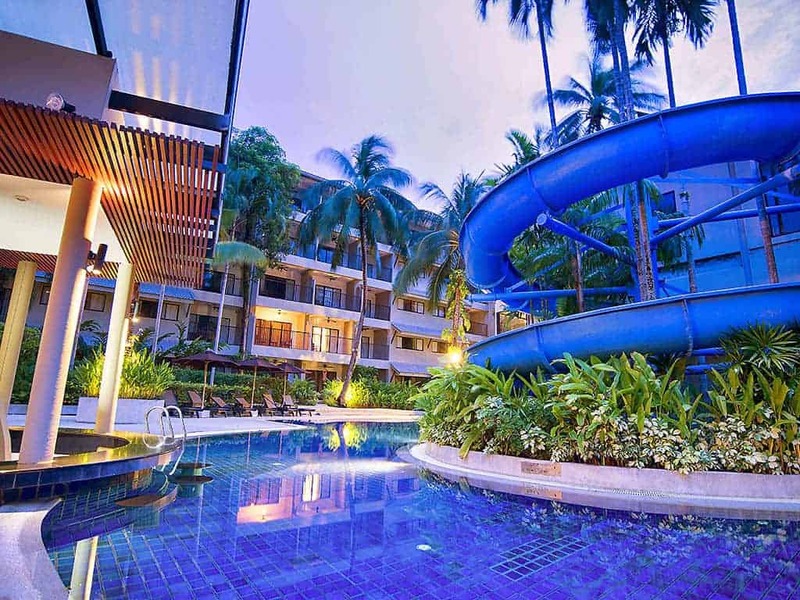 We recently reviewed two such resorts on Phuket island in the towns of Karon and Surin. 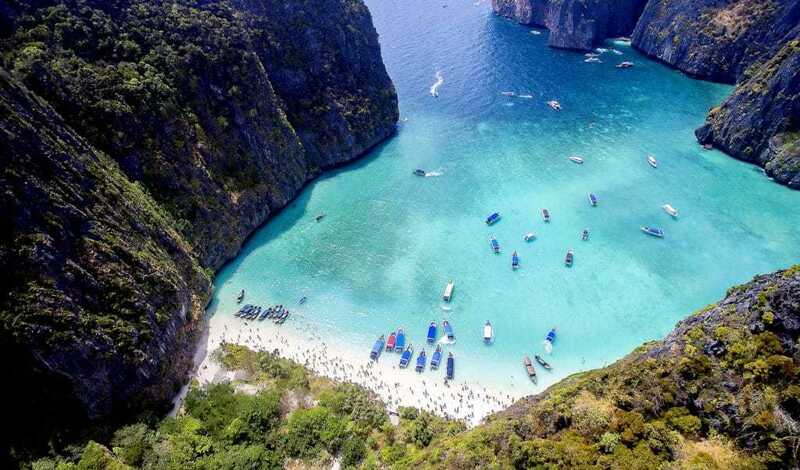 Sitting in the heart of South East Asia, a mere 12 or so hours from Europe, there’s lots of flights to choose from and plenty of ways to add Thailand to a larger itinerary too. Having travelled to Asia many times know I’ve been able to visit Thailand as part of 4 month trip through Vietnam, Cambodia, Thailand and Malaysia. I’ve also spent months living in Malaysia and Thailand as extended rental properties are easy to find. There’s a blogger community currently residing in Chiang Mai for instance. There’s also plenty of domestic flights between the islands which have made my travels around Thailand even easier. I adore hot, humid and sunny weather and there’s no shortage of that in Thailand. With an extended monsoon season from July to October torrential showers are all but guaranteed every afternoon. This never put me off visiting though as the rain often dries as quickly as it appeared and the impressively heavy downpours can be quite entertaining! The hottest time of year is from March to June, with April and May being the hottest months. Temperatures are rarely below 30C and can peak at 39C. I’ve pretty much seen sunshine on every day of my travels through Thailand and the afternoon showers are a welcome reminder to seek some shade. 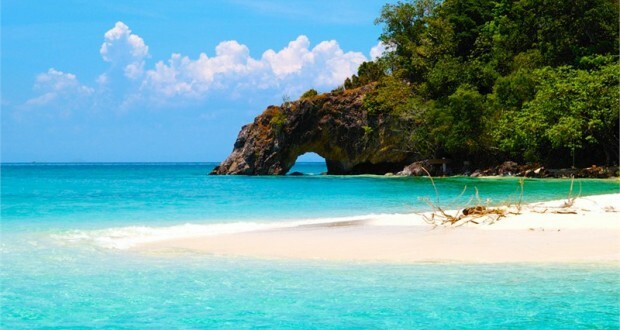 I could go on about the endless reasons you should put Thailand high up on your bucket list. Check out a few of Thailand blog posts to discover more.